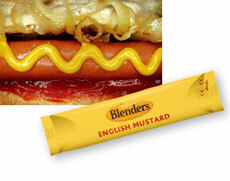 Traditional strong English mustard to add zest to hot or cold meats, casseroles, stews, cheeses and sandwiches. Available in 240 x 10g box. Store at ambient or chilled temperature. For best results keep cool.